Handcrafted dining chair. Stainless steel frame; bonded leather seat and back. Light assembly may be required; instructions and hardware included. 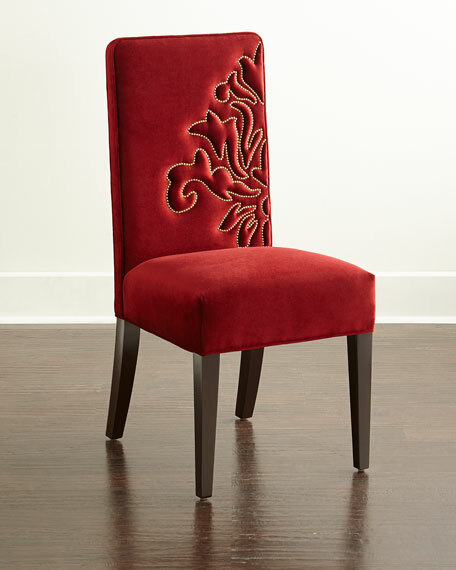 Handcrafted dining chair. Stainless steel frame; bonded leather seat and back. Light assembly may be required; instructions and hardware included. 32"W x 19"D x 22"T. Imported. Boxed weight, approximately 16 lbs. Please note: This item is sold as a single stool.